As the western world has been working to improve corporate governance in the years since the Cadbury Report of 1992, the Muslim world has been addressing the issue of how to reconcile the principles developed in the various codes with Islamic principles. We look at how these principles might be incorporated into western Codes and our Golden Rules. Reconciling corporate governance codes with Islamic principles has become more pressing since the introduction of so-called Islamic finance (banking and insurance), and in the last fifteen years or so, there have been many papers written attempting to tackle the issue and scholars of Islam have been drafted in to help, particularly in the financial sector. Recent developments have included the launch by Saudi Arabia’s Crown Prince, Mohammed bin Salman of his Vision 2030, to modernise the country, the release earlier this year of a comprehensive new set of Corporate Governance Regulations by the Saudi Capital Market Authority (CMA), and the prospective inclusion by MSCI of the Kingdom of Saudi Arabia in its Emerging Markets Index. 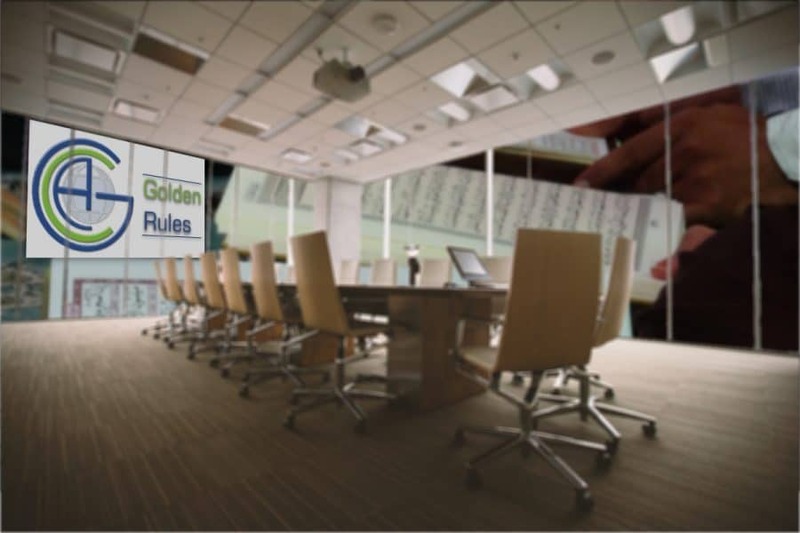 So we thought it would be interesting to look at how Islamic principles might be reconciled with the western Codes and how the Five Golden Rules of our Applied Corporate Governance might accommodate these principles. The key elements for non-Muslims to consider are the importance in Muslim society of firstly the Sunnah, the teachings of the prophet Muhammad about how to behave, based on his own life, what he said was permitted (halal) and what he said was forbidden (haram) or disapproved of. And secondly Shari’ah, meaning the way or path, and comprising the body of religious law saying how the members of the Islamic faith should conduct themselves. This body of law is derived from the Qur’an and the Hadith, the reports by contemporaries of what the Prophet had done and said in his life. It has been suggested that when Muhammad first established an Islamic state in Medina, there were three principles which guided him, as he became leader under divine decree. First he adopted a constitution, which amounted to a social contract between him and the various groups of citizens. Secondly, the constitution provided for consent and co-operation between these groups and establishing his authority to govern. And thirdly, he espoused the principle of consultation or Shura in Arabic. Hence, on this reading of Islam, consultative governance is the preferred form of governance in Islam, and the teachings of Muhammad and the body of law which is the Shari’ah, should lead in that direction. When Islamic finance emerged, it became necessary to adopt a more precise interpretation of how exactly the Shari’ah should be applied to a business which involved such forbidden activities as charging interest on loans – one of the earliest breaks with the traditions of the Jewish faith. The financial products and services had to be designed to be compatible with Islamic teaching and, by extension, the companies that sold those services needed to be organised in a way which facilitated supervision to ensure compliance. It seems therefore, that the banks have led the way in adopting constitutions and organisations which address the need to comply with Islamic law as well as western corporate law and regulations. Hence banks in the Middle East and Malaysia, for instance, make it clear that they are taking this seriously, at least as far as codes and organisational design are concerned. Hence it is accepted that, in addition to the conventional board committees and adherence to western codes of corporate governance, particularly the OECD principles of good corporate governance, there needs to be a special committee to deal with compliance with Islamic law. This Shari’ah Supervisory Board comprises Islamic scholars of suitable experience, who can guide the board of directors on how to stay within the laws of Islam. The scholars or Muftis give guidance or rulings (fatwas) which the board is supposed to follow. An issue which seems to give rise to some concern is so-called “shopping for fatwas” or “fishing for fatwas” whereby a board seeks a scholar who will provide a favourable interpretation of the Islamic law to support its planned strategy. Apart from the usual strictures about the need for competence and independence in the scholar members of the SSB, this gives rise to the suggestion that there ought to be established a national body to provide consistency in the Shari’ah rulings, and presumably, by implication, a supranational body. Consultation: a key element but a subject of debate as to whether the scholar’s views after consultation are binding, or whether the consensus of the consulted should prevail. Let’s look now at how our Five Golden Rules can include the seven principles of Islamic governance summarised above. Surely here we include the Khilafa: this is where the culture of a company is set, and where the leadership of the organisation sets the standards of behaviour for all the employees. Moreover, the demand for justice sits right in the middle of the culture set by the leadership. Here we must include the Shura, and the scholar’s interpretation of appropriate Islamic behaviour. Also we recognise the place of Equity and the understanding that all stakeholders must be treated inclusively, acknowledging that their interests in the company vary. Here is the place for the monitoring to encourage good behaviour and stopping bad behaviour in the day to day operation of the business. Accountability and transparency are stressed in the Qur’an, and this is, of course, very important to us as one of our own five principles. Furthermore, the fact that our whole approach is based on consultation with stakeholders, embodied specifically in this Golden Rule, is very much consistent with the Shura principle. It is of prime importance that a sensible Code and appropriate organisation are not betrayed by corrupt actions in the day to day operations of the business. Hence it is a key element in the ACG approach to implementing a system of good corporate governance that we use independent surveys to monitor stakeholders’ views of performance. This element can be invaluable in helping the SSB monitor what the key stakeholders think of the performance of the business and potentially highlight any practice of fatwa fishing or other improper behaviour. 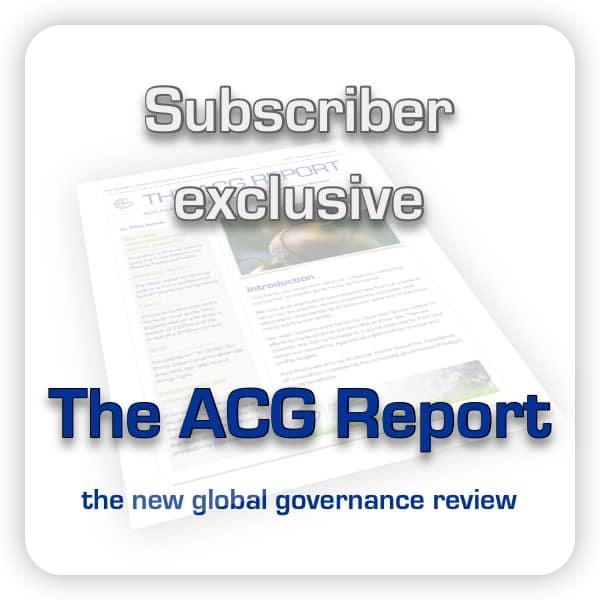 All in all, it can be reasonably said that the ACG approach to good corporate governance can very comfortably incorporate the principles of Islamic governance and cover the holes which the conventional Anglo-Saxon/US Codes do not address.